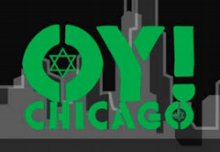 Check out the articles by Rabbi Avi Finegold and Rabbi Philip Scheim. A great article featuring Rabbi Avi Finegold and his wife Rachel. An interview with Rabbi Avi Finegold, discussing his personal and professional life. Article featuring Rabbi Avi Finegold discussing religion. Article written by Rabbi Avi Finegold on holiday preparation from a Rabbi's perspective.